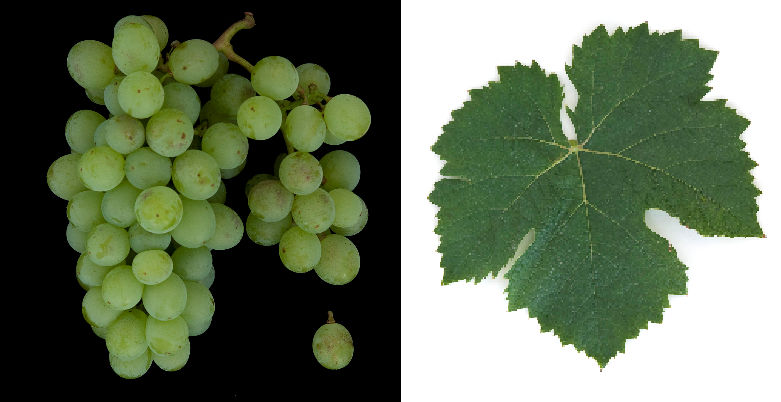 The white grape variety comes from Hungary or Bulgaria. Synonyms are Mirizlivka, Misket Vratchanski, Tvarda Vrazhda Misket, Vrajda Misket, Wrat Chanskii Musket, Wratchanski Misket ( Bulgaria ); Archduke Johanntraube ( Austria ); Pecsi Szagos, Zöld Muskotaly, Zöld Szagos ( Hungary ). According to done in 2013 DNA analysis is a presumably natural cross between between Coarnă Alba ( Pukhliakovsky x Muscat Blanc, She may not with the name-like variety Misket Varnenski be confused. The late-ripening vine is resistant to Botrytis, It produces white wines with a pronounced nutmeg and aromas of herbs, flowers and honey. The variety is cultivated in Bulgaria mainly in the province of Montana in the northwest and in the province of Varna in the east of the country on 152 hectares (indicated in Wine Grapes). In 2010, however, only one hectare was reported in Hungary (Statistics Kym Anderson ). This page was last modified at 11 January 2019 at 08:15.